Porsche Cayenne Interior, Sat Nav, Dashboard | What Car? So far, we’ve only tried the posher end of the seat range that comes with all manner of electrical adjustments. Along with a wheel that also offers plenty of adjustments, no one should have difficulty getting comfortable. Even after a few hours on the road, we were far from uncomfortable, thanks in part to the seat cooling and heating available. All the major controls including temperature and fan are easy to find. Some of the minor controls are a little trickier as they are icons on a touch-sensitive panel. They are responsive enough, but you can’t feel your way around, so you have to look down from the road more than is ideal. 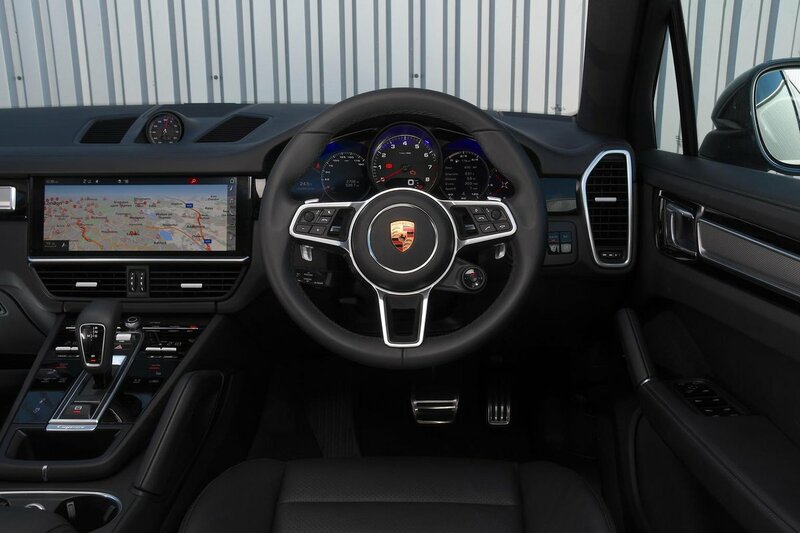 Porsche’s semi-digital instrument cluster is clever at putting things such as the sat-nav map directly into your field of vision. In the E-Hybrid model, it can also display your remaining electric range and diagrams showing energy flow. 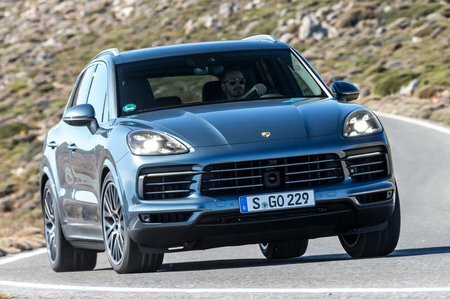 You can get yourself nice and high in the Cayenne and the windscreen pillars aren’t too thick, making it easy enough to see out of. The side windows are big and, while the rear-screen pillars are pretty chunky, you do get parking sensors at both ends of the car. Should you need a little more help, reversing and surround-view cameras are optional, as is lane- keep assist and blindspot monitoring. 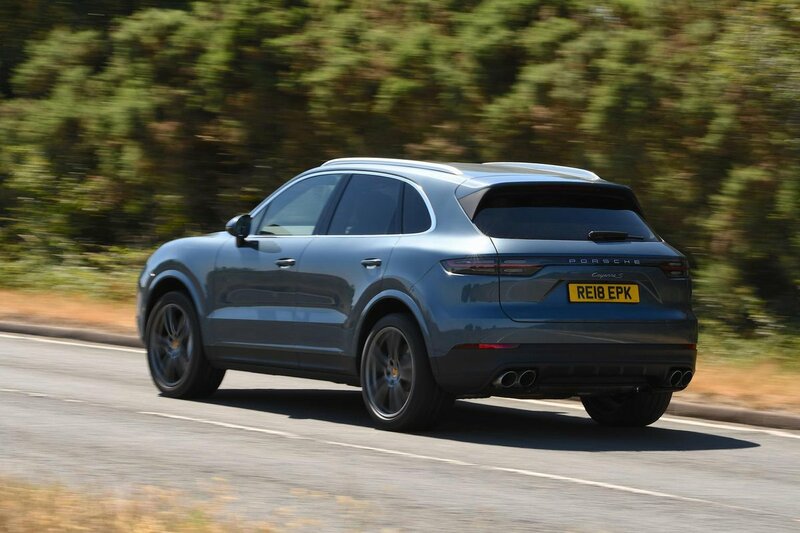 All Cayennes get a giant 12.3in touchscreen in the centre of the dashboard. It has sharp graphics, is responsive to touches and swipes, and rarely has any lag unless you’re zooming in and out of maps quickly. Most icons are a decent size, although some of the menus are a little small. This may be fine when you’re stationary but can prove troublesome on the move. Smartphone integration is covered by Apple CarPlay; there’s no Android Auto. There is at least a Porsche-designed app available that allows you to send and receive destinations, among other things. Once you step inside, there’s no doubting that you’re sitting in a Porsche. There’s plenty of dense and squidgy plastic, supple leather and switches that operate with a solid precision. If you want even more luxury, you can get an extended leather pack for the dash and doors. Yes, you can find hard plastics for the rear-seat recline, but this is well finished and feels like it’ll last a lifetime without issue.